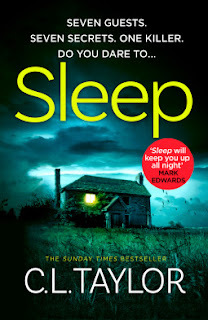 Avon Books sent me a free review copy of Sleep by C.L. Taylor. Sleep by C.L. Taylor is one of those books that will keep you reading long past your bed time. I was quickly dragged in to the story and couldn't stop reading. 5 Word Review: Guilt, blame, isolation, recovery, mystery. Sleep starts with a bang and a crash. It's a fast paced read that I couldn't put down, and I loved how invested in the story I was. I pretty much read it in a single sitting. 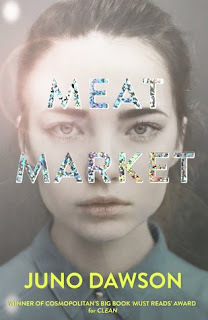 I loved the secrets in the story - it meant I was never entirely sure about who to trust and what to believe, and I kept wondering about all of the motives. The pressure of the setting was amazing - everything felt very insulated and heightened. I loved the atmosphere of the island and the hotel. Anna was a fantastic character, I felt like I admired her quite a bit. I liked her resilience, her drive, the way she was always fighting and doing her best. I really enjoyed the ending, how everything came to a head. I was correct with my guess, although I didn't quite imagine the why! I liked that I was challenged a bit and that it wasn't super-predictable. No. It doesn't hurt there. It hurts here, in here, inside my head. This sounds right up my alley!! I'll have to pick this one up soon!